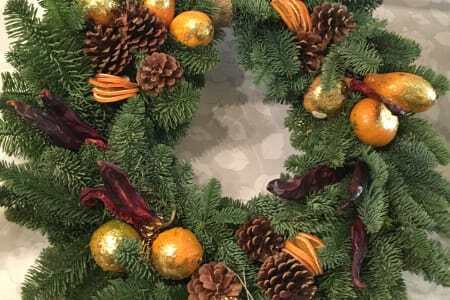 Louise Coultas Pitman is the former owner of The Cracked Pot Flower Boutique shop in Ealing, West London, a beautiful vintage flower shop where Louise spent 20 years building her business and brand. Using her vast experience she continues to grow the online Boutique. Louise took the decision to close her retail shop for the freedom and scope of the freelance world of Floristry. She now works from her fabulous light and airy home studio, looking out onto the garden. 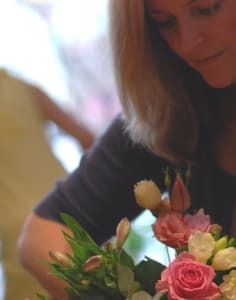 She finds the freedom of working from home allows her to build on her passion for flowers and now without the daily demands of a busy shop, has more time to spend at the flower markets breathing in the sights and sounds as well as the scents. Louise says “I’ve rediscovered my passion for the flowers and the customers. With the burning desire to create beautiful and bespoke arrangements for my clients, I find myself getting lost in the flowers and creating arrangements in my head as I take in the incredible colours the world of flowers has to offer” Each and every bouquet is made by Louise personally with incredible attention to detail. Louise feels so passionate about her craft that she’s very keen to share it with others.